These Civil War Store Cards from Boston, Massachusetts are ascribed to the shop of Joseph. 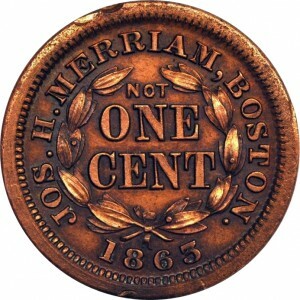 H. Merriam. Merriam was a die sinker who lived in Boston, Massachusetts. 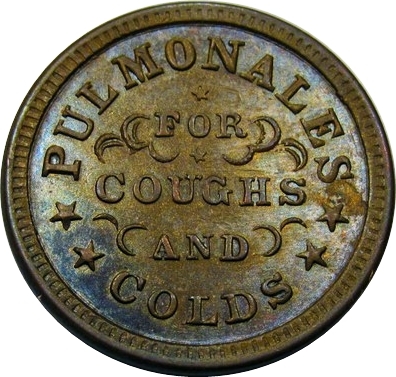 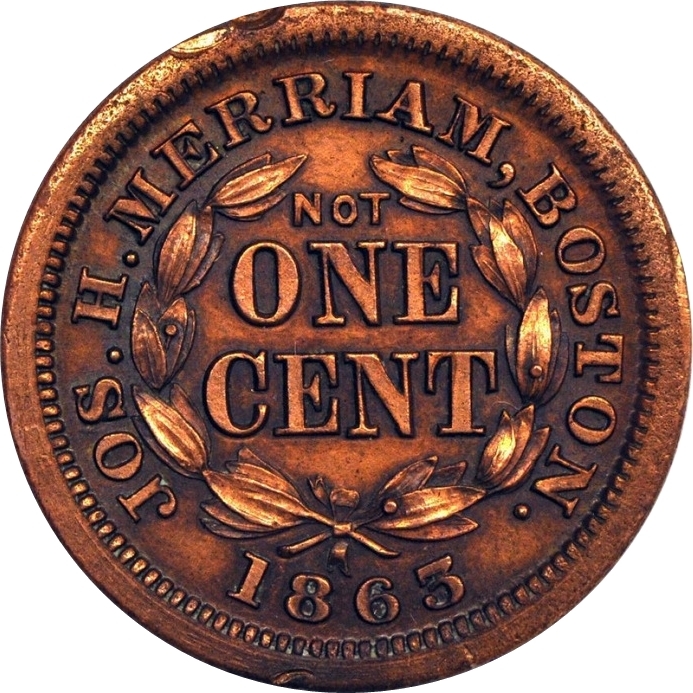 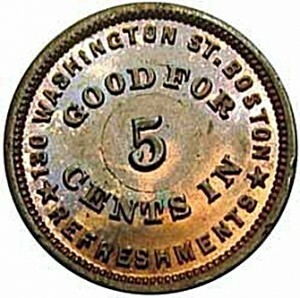 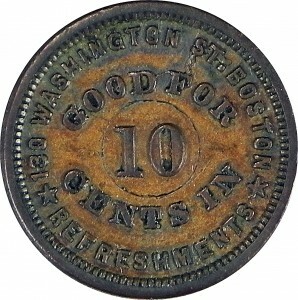 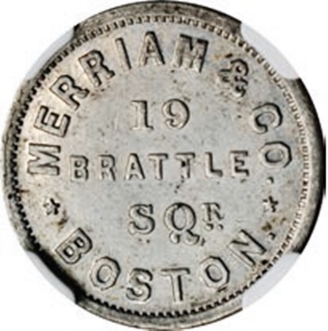 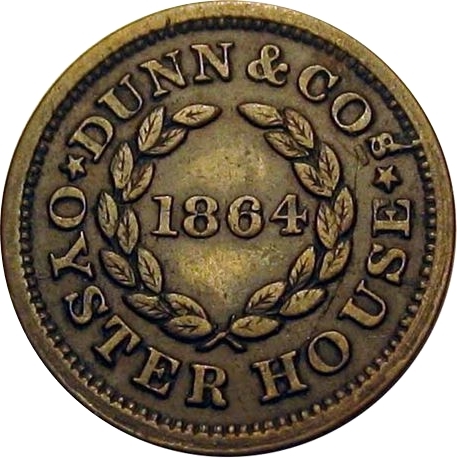 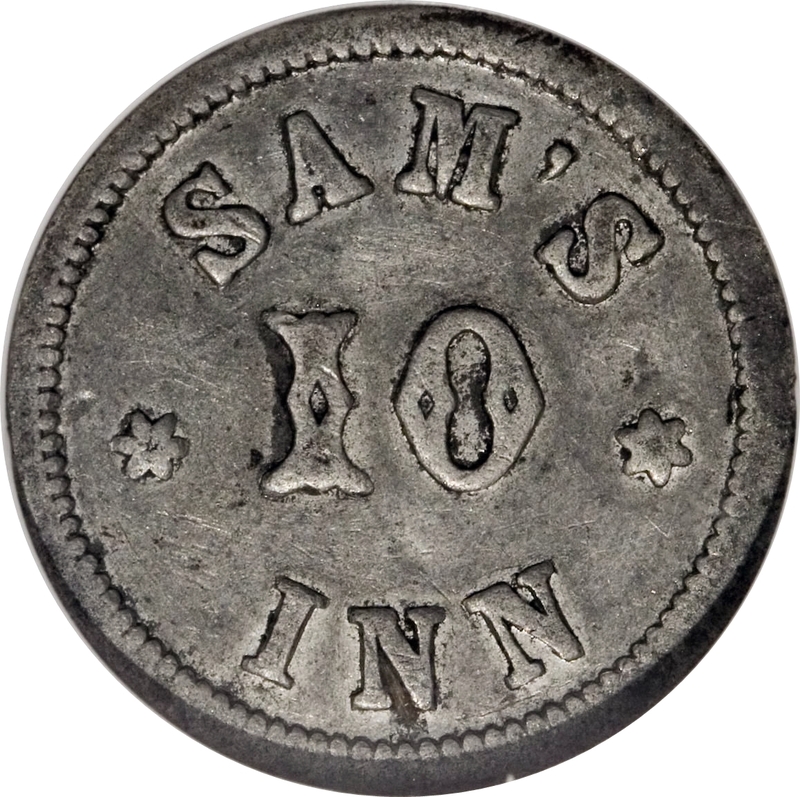 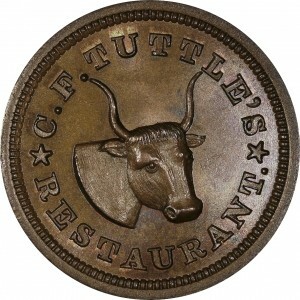 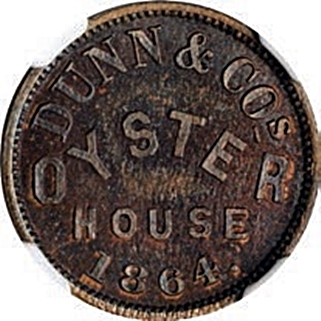 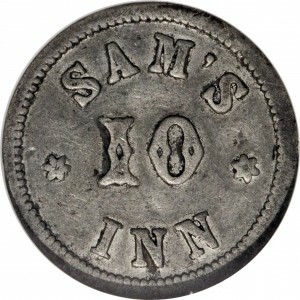 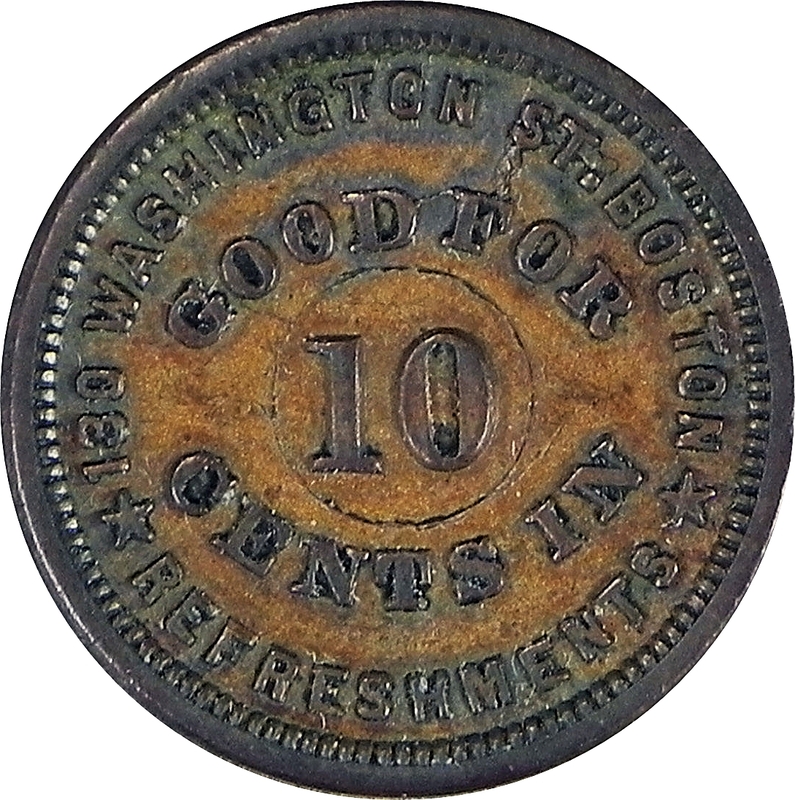 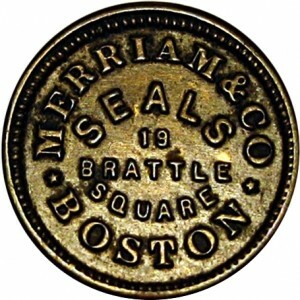 A few of the tokens from Boston are no longer considered Civil War Tokens as they were made shortly after the Civil War. 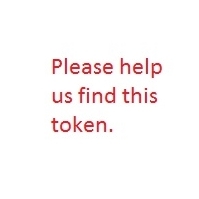 In addition, there are a few in the third edition of Fuld’s book that have been added. 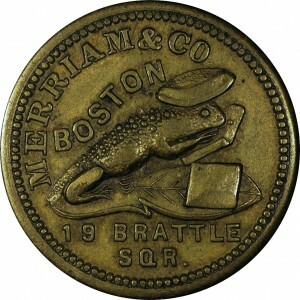 I will update these later. 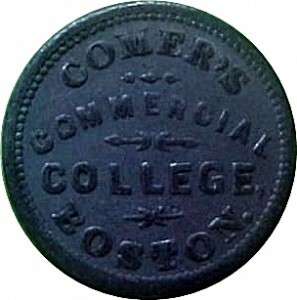 Comers / Commercial College / Boston. (MA 115D-2) Merriam & Co / Boston / (Slalmander press in center) / 19 Brattle / Sqr. Jos. 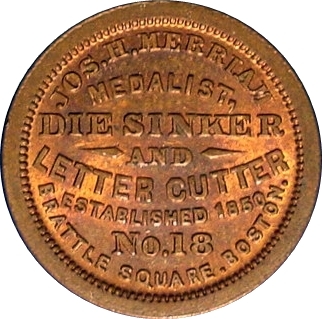 H. Merriam / Medalist / Die Sinker / And / Letter Cutter / Established 1850 / No. 18 / Brattle Square.Boston.